Cryptic Clue: A bakery ignores you. Cryptic Clue: I need some cash to change the baby. Cryptic Clue: Seinfield's neighbor has comment for you. Cryptic Clue: The greek god of thunder likes canals. Cryptic Clue: Ben Afflick's BFF walks the earth. Shortly after this segment aired, Cryptic clues started to be seen on the Lucky Budd Twitter Account. 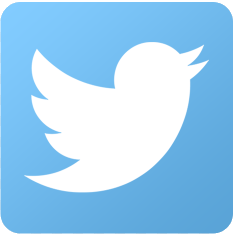 or the Daily Levidrome Twitter Account. 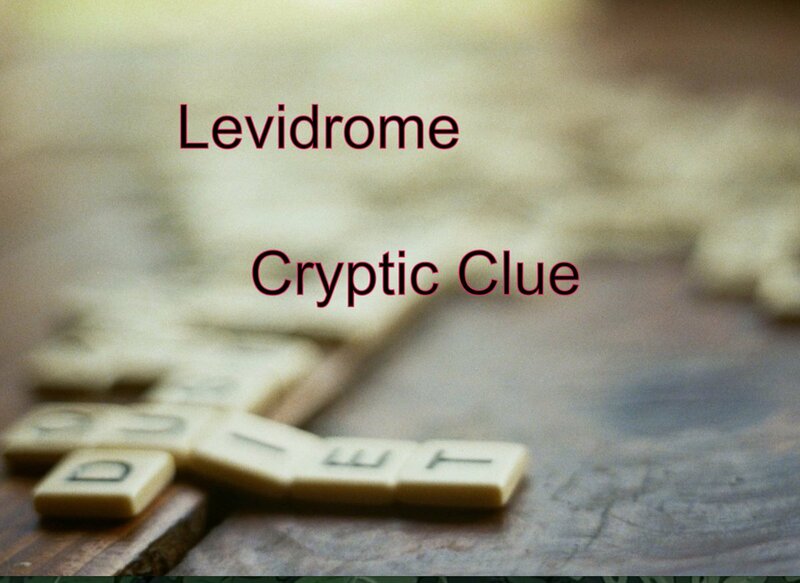 Every week, there would be a clue to a levidrome pair. You would try to guess what the levidrome pair is based on the clue. It was one of the first levidrome games to come out. William Shatner noticed the Phillips Brewing Co Levidrome Lager, and he tweets his approval with a thumbs up. William Shatner has been very influential with getting the levidrome word recognized. Not only does he recognize a good word, but he also recognizes a good lager. Regal Lager. 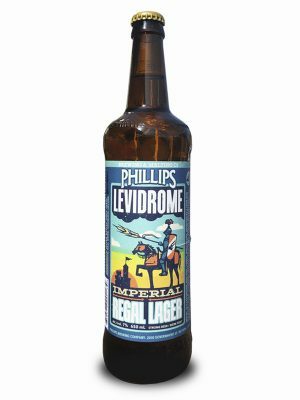 Phillips Brewing & Malting Co. located in Victoria, BC has produced a beer in recognition of the word Levidrome. 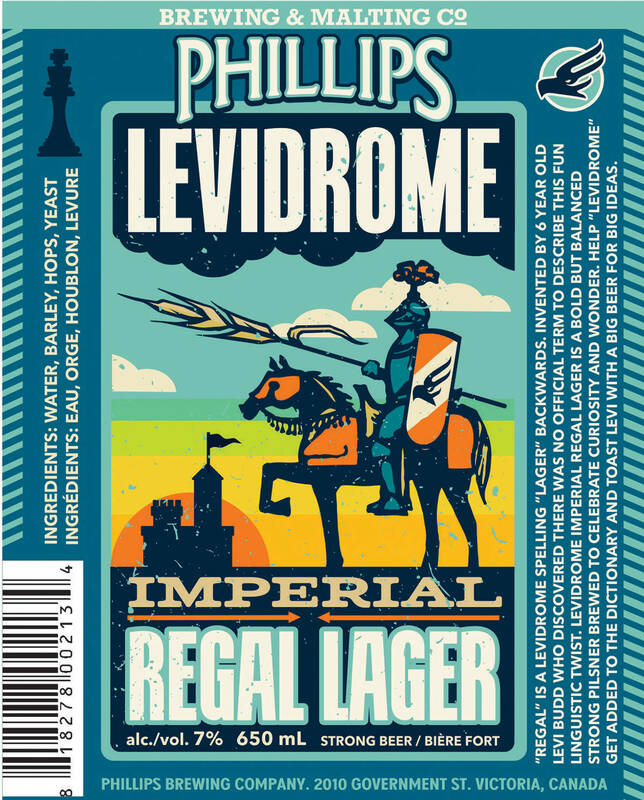 Their Imperial Regal Lager is a seasonal beer with the levidromes "Regal" and "Lager". Pours a pale straw colour with light white foam. Herbal and grassy notes mingle with the noble hop and sweet malt character. Its light and balanced mouthfeel finishes with a subtle sweetness. "Regal" is a levidrome spelling "Lager" backwards. Invented by 6 year old Levi Budd who discovered there was no official term to describe this fun linguistic twist. Levidrome Imperial Regal Lager is a bold but balanced strong pilsner brewed to celebrate curiosity and wonder. Help "Levidrome" get added to the dictionary and toast Levi with a big beer for big ideas. As a side note, there have been at least 2 other breweries who brewed their levidrome-themed beers in the US and Sweden.